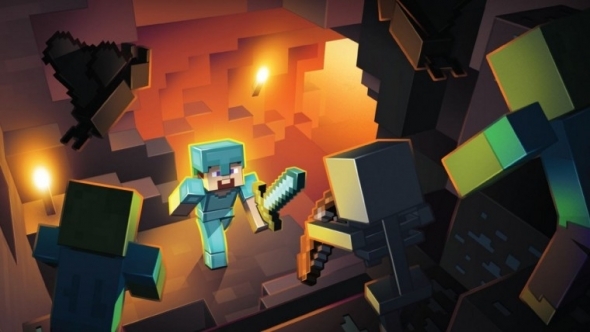 Minecraft console game developer, 4J Studios has confirmed Title Update 25 is now available for download and leaked superflat worlds, stained glass windows, and various fences to the delight of the box game fans. According to the new statement from the studio, Xbox 360 users can turn back on option to share screenshots straight to Facebook. Minecraft debuted on the PC platform from Mojang, however, the game's massive fame called for console versions under the care of 4J Studios across the PS3, PS4, Xbox 360, and Xbox One. Title Update 25 is the newest update to be released specifically for Xbox 360 edition. Via Twitter, a demo has been posted to show how Minecraft Xbox 360 owners can go back on sharing screenshots to Facebook from the game including an image of the game's next update plus a sneak peek of few new features arriving. Such features mentioned are superflat worlds proven by the skyline, stained glass windows, and new fence types. 4J, however, hasn't confirmed these details officially, although, it is assumed that that the new Title Update 25 will be launched soon on PS4, PS3 and Xbox One editions of the sensational Minecraft game. Meanwhile, PS4, PS3 and PS Vita version gamers in North America and Japan will be receiving the new Minecraft Update 1.16 that is currently available in Europe. Contrary to the last patch, 1.16 features are quite offering small changes where new Alex female skin is added. Alex who is the first female character in the game is said to be just as skilled as Steve. PlayStation players can also get a brand new soundtrack in the creative mode as well as the trial version for The Simpsons Skin Pack which adds skins from the popular adult-orientated cartoon series, The Simpsons. In related news, Microsoft has presented a demo of Minecraft built especially for the company's VIrtual Reality device, Hololens which according to reports, creative world-building game is a perfect fit for the futuristic hardware. The demo first showcased controlling the experience with the use of Xbox One controller.Subsequently, the player just maneuvered the game with his hands in the air to play and look around through his creations in real space. Microsoft promises that more information will be revealed at the Minecraft's MineCon event this July 4th. In the meantime, fans can enjoy their Minecraft experience with the latest TItle Update 25 for Xbox 360 and Patch 1.16 for PS4, PS3 and PS Vita.